Concrete countertops are growing in popularity due to their functionality. When installed properly, they will make a beautiful addition to your home. These countertops come in an array of colors and stlyes, and are highly customizable in the way of shape, edging profiles, and overall design. They now can even be customized to mimic different types of stone countertops. Because concrete is a porous material, it is subject to stains, but making sure to seal your countertops as needed helps to keep them protected. Concrete is also a heavy material, so make sure you have proper support for your cabinets and appliances before installing. Stainless Steel Countertops are not just for restaurants or industrial kitchens anymore. In fact, they look quite sharp in regular household kitchens. They offer homeowner’s easy upkeep, as well as a naturally hygienic area to work in. The name also spells out another great feature – they don’t stain. If that’s not enough for you, they are also heat resistant, so you can place your pans directly on the surface when you’re in a hurry. Now, as with most other materials, they aren’t completely perfect. 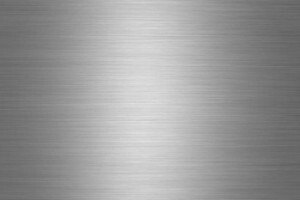 Stainless steel countertops have been known to acquire scratches, dings and smudges through the years. Talk with a professional about ways to hide or avoid these through design and installation techniques. These countertops are both beautiful choices, but you know your situation better than anyone. Always research your options thoroughly to make sure you choose the countertop that is best for your home.